For my family, our diligence about our children’s character seems to take a hit during our busiest times. When we moved, for example. Or when I got to the end of my most recent pregnancy. These hectic, life-changing times are trying and distracting. They take our attention away from what is truly important and allow bad habits to creep in. The results aren’t obvious right away. But later, when the dust settles, you can see what happened and all you can do is hold on tight while you all re-build your better habits. 1. 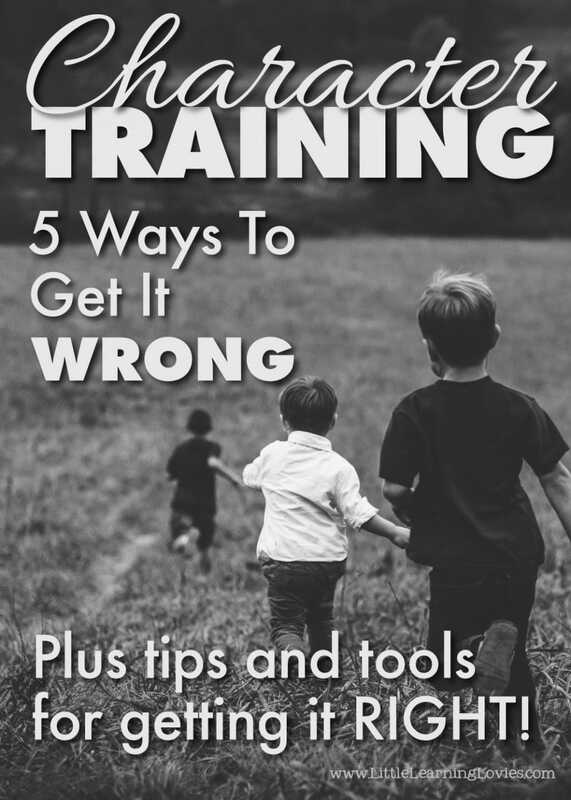 Don’t bother discussing character training with your children. They’ll figure it out by watching good role models. Character is a hard topic to talk about. We know we want our children to be kind, caring, generous and empathetic, but how do you convey that? How do you define and explain well enough to get them thinking about it? It’s hard! So why not just skip it. Surely they’ll learn enough by watching those around them. Kids learn best by watching, right? 2. Don’t practice excellent character yourself. Kids can emulate other people. Have you ever said “Son, I know you just saw me [lie, cheat, etc] and I want you to know you should never do that!” Surely that little discussion will negate whatever bad you just did. Kids are smart enough to figure it out. 3. Don’t call out both good and bad character traits when you see them demonstrated by other people. After all, kids are observant, most of the time. They’ll naturally notice the good things and the bad things that are done and the consequences of those actions. They’ll figure it all out by observation on their own. 4. Don’t share with your children about choices you’ve made and how you would change them or why you are grateful you made them. It’s too hard to talk about choices with the kids. They don’t understand a lot of the reasons behind things and so it’s easier to just make a decision and move on. It’s especially hard to talk about bad choices and how I would change them if I could or what I would do next time. So I’ll just skip it. 5. Don’t call out your children on the good or bad choices they make. Just like everything else on this list, it’s hard. Sometimes they cry if I talk to them about bad decisions so it’s best to just let natural consequences do the teaching. How to get character training right! You can probably guess from my list above what I’m going to share here. 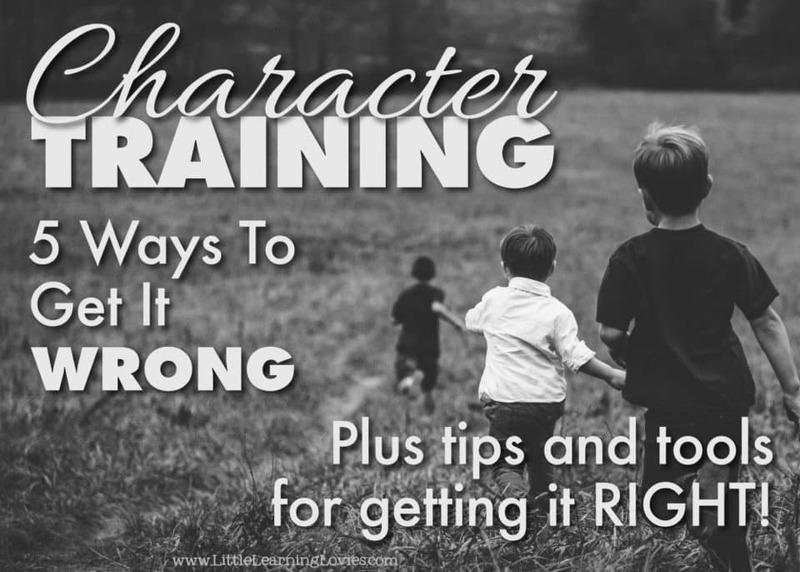 If you want to raise up your children to have excellent character, you need to point it out to them. You need to discuss it with them, share many examples with them that you might notice in daily life, share your own age-appropriate tricky situations where you made either a great choice or a bad choice. When you’re wrong, admit it. Tell them what you should have done and will do next time. Then actually follow through. Make sure you are living out the lessons you want to instill in your children. When they are wrong, point it out. Tell them why they were wrong, ask why they made that choice, and help guide them to discover what they should have done and can do next time. Help them define the character traits you are working on training. What does it look like to display this trait in daily life? What does life look like when this trait is absent? How can practicing this trait help you and those around you? Keep training. Character has a sneaky habit of slipping when you look the other way. Never let up on yourself or your children. It slips by tiny bits and can be easily redirected if caught quickly. Most of all, find a fantastic guide to help you do all of these things! What is YOUR best tip for excellent character training?